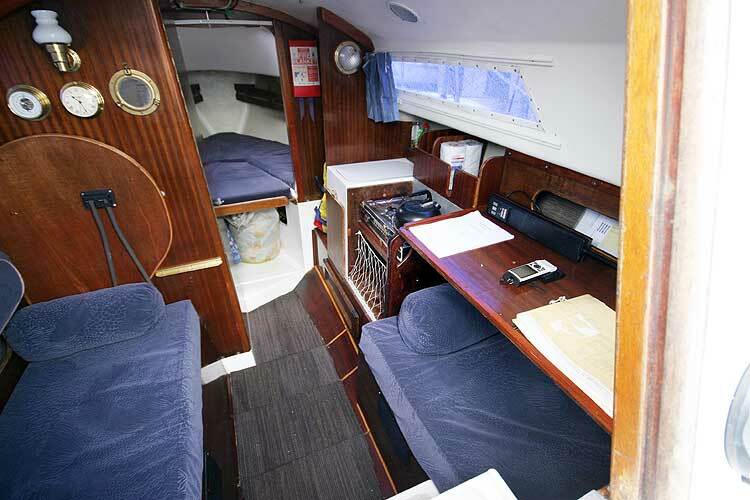 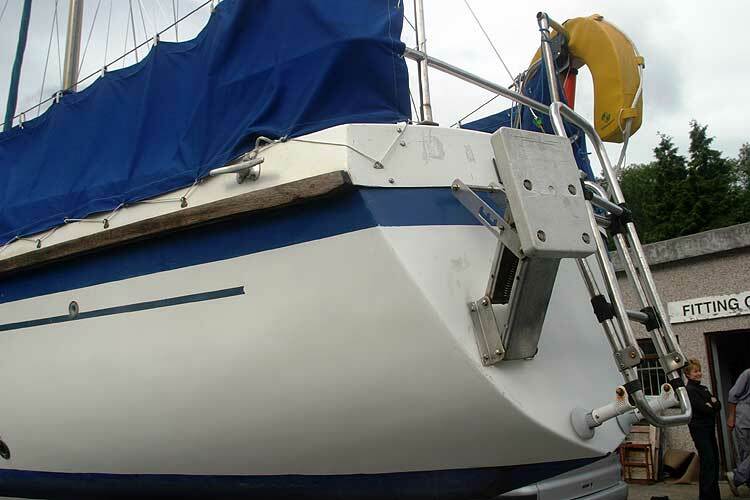 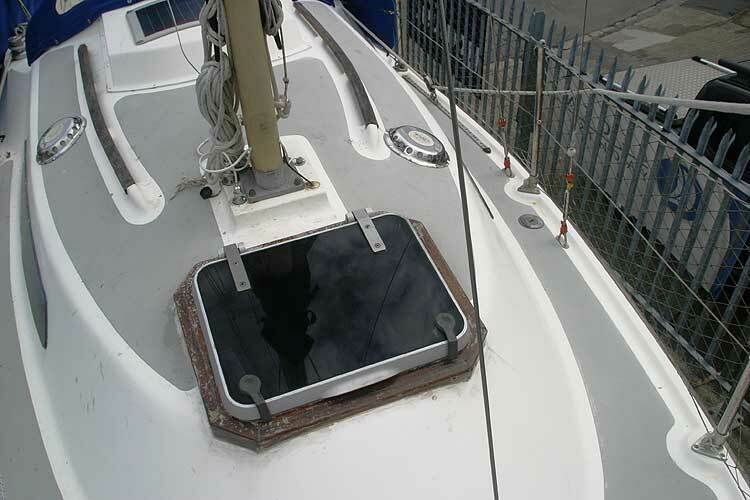 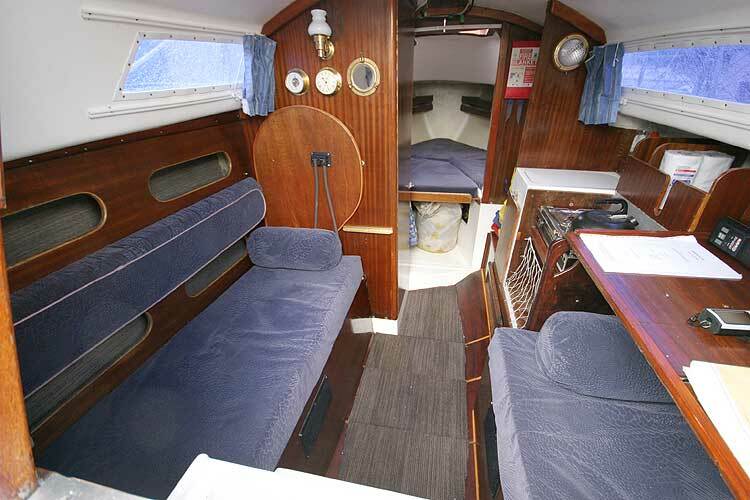 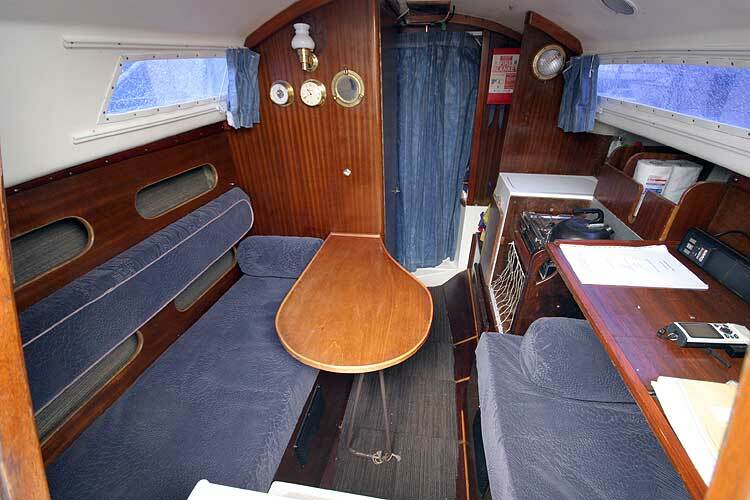 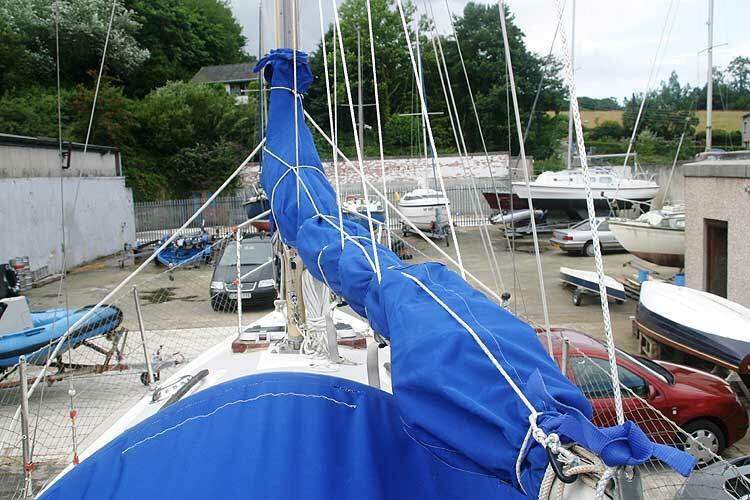 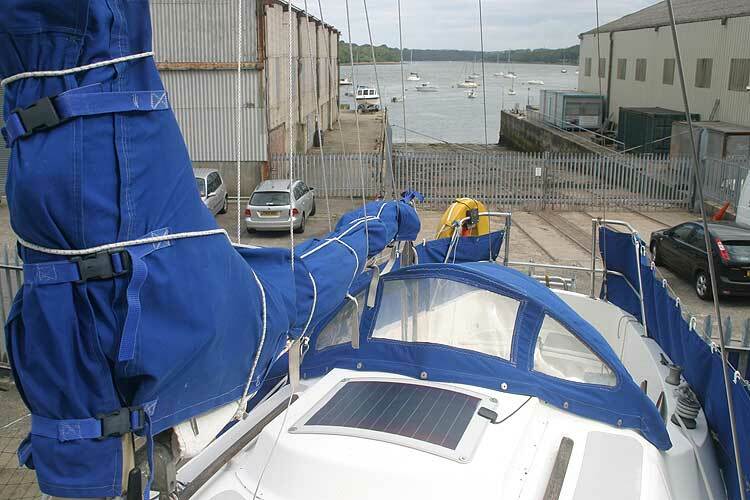 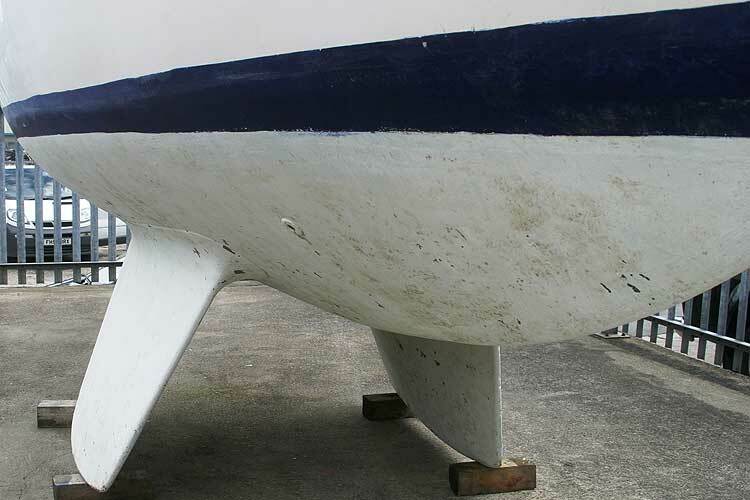 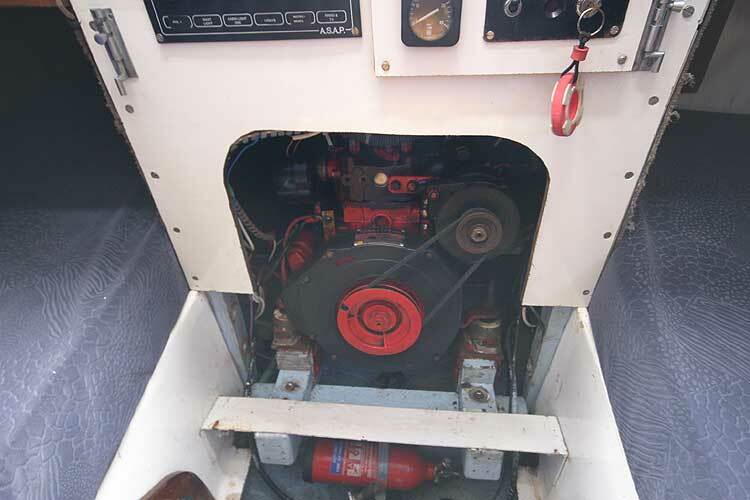 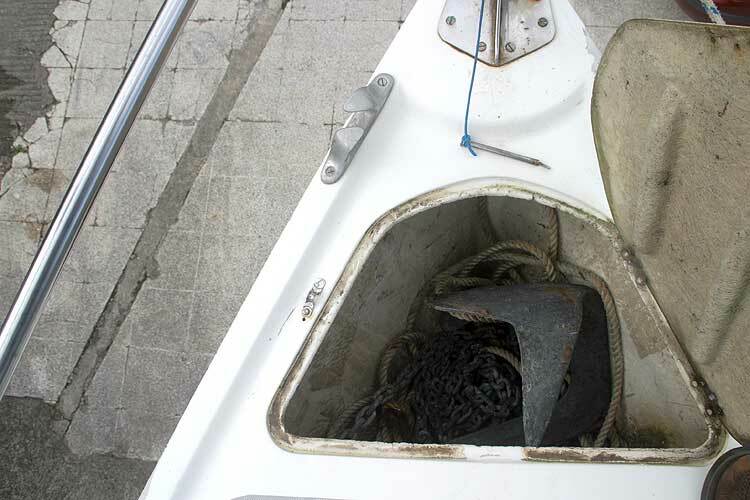 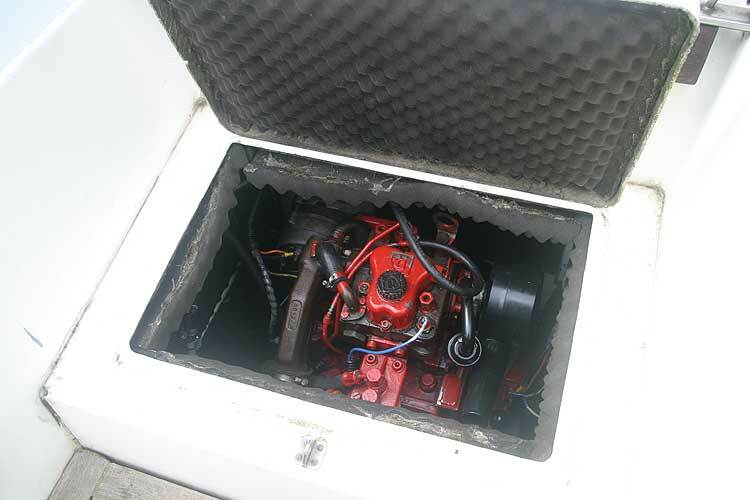 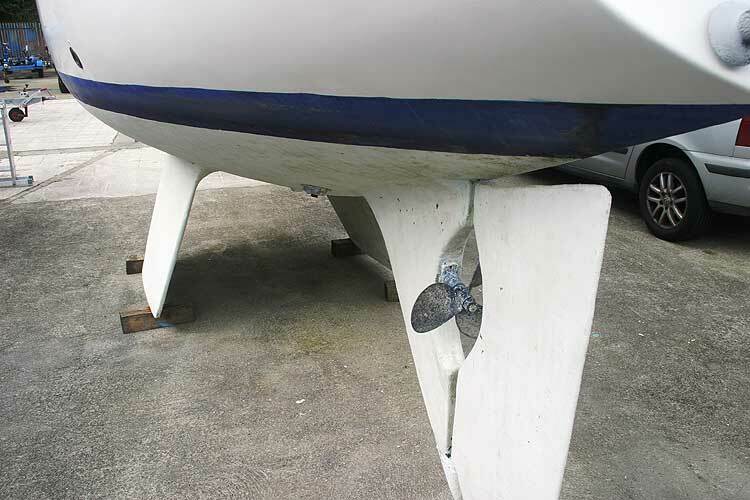 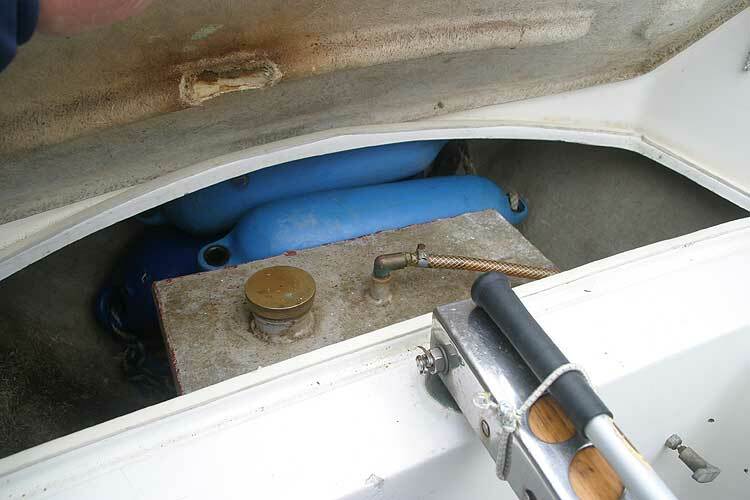 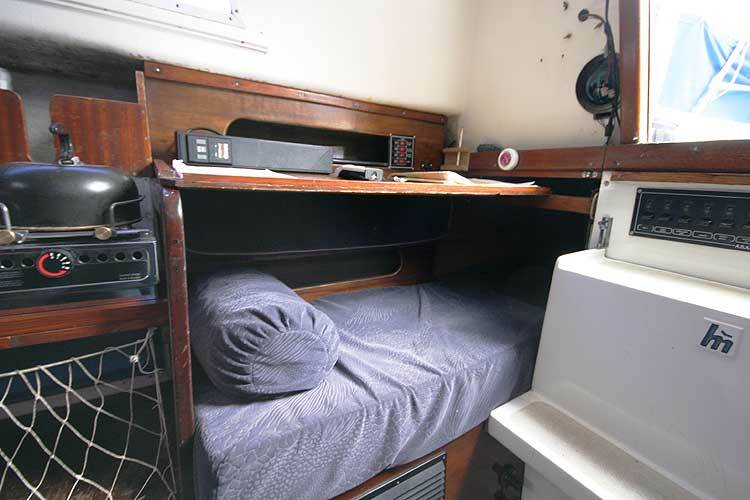 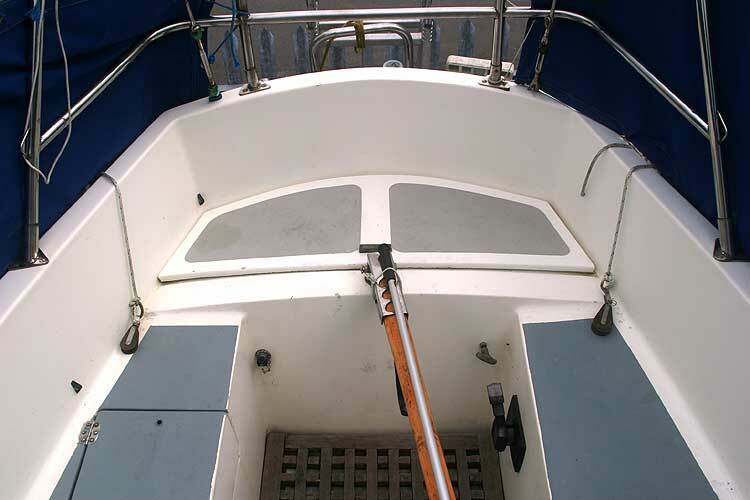 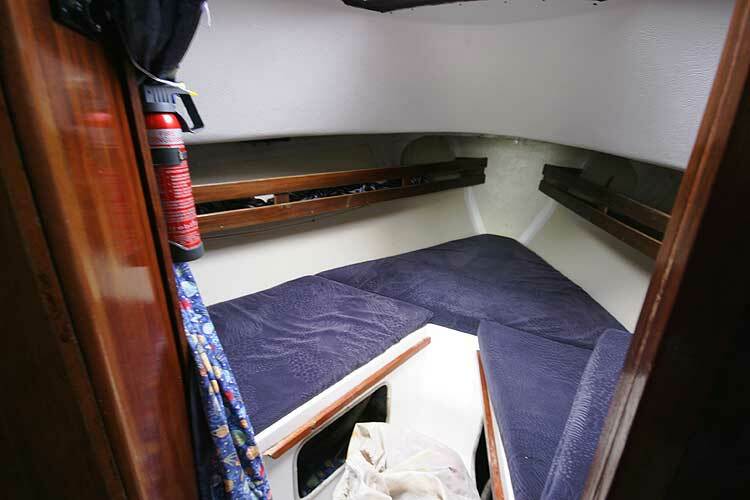 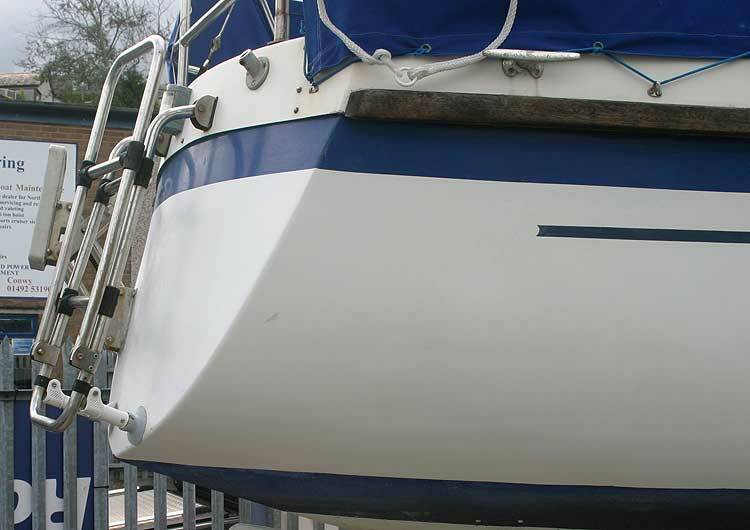 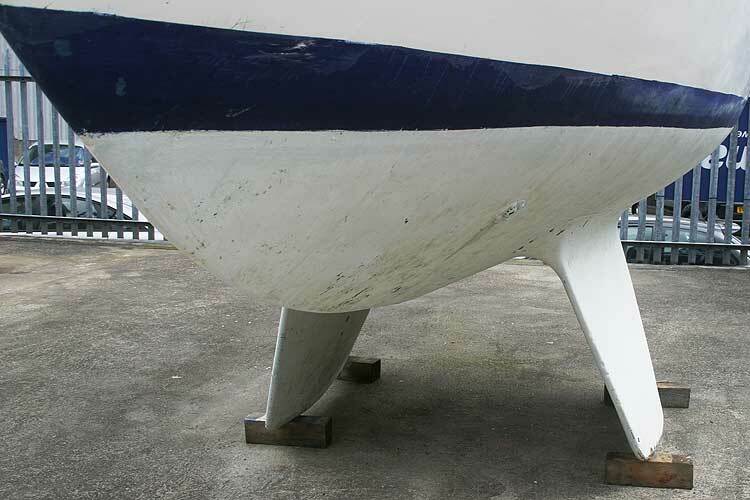 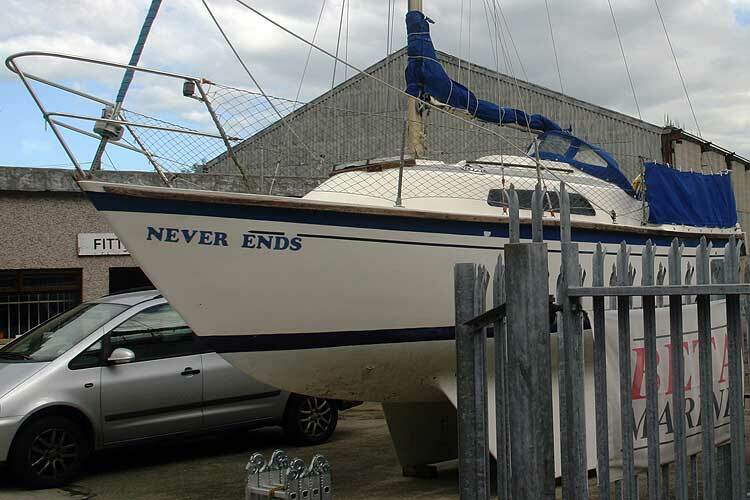 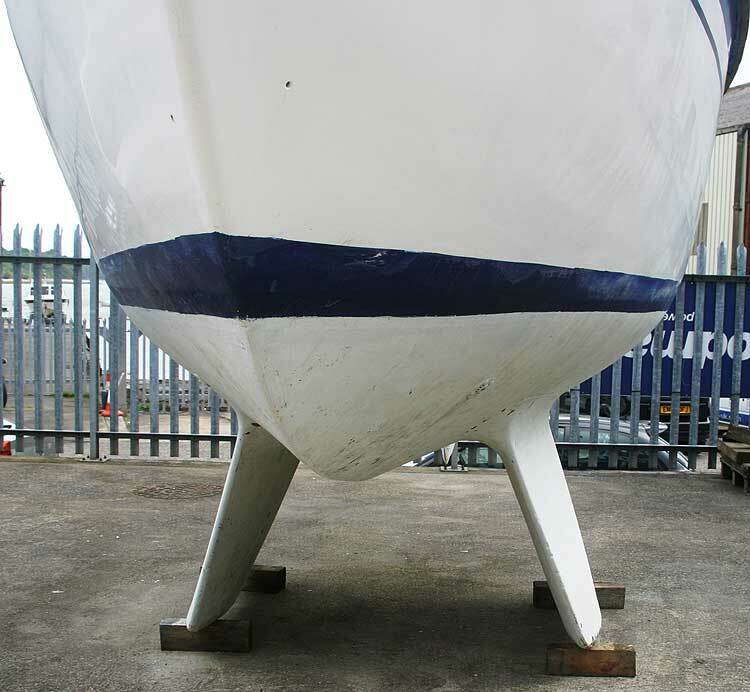 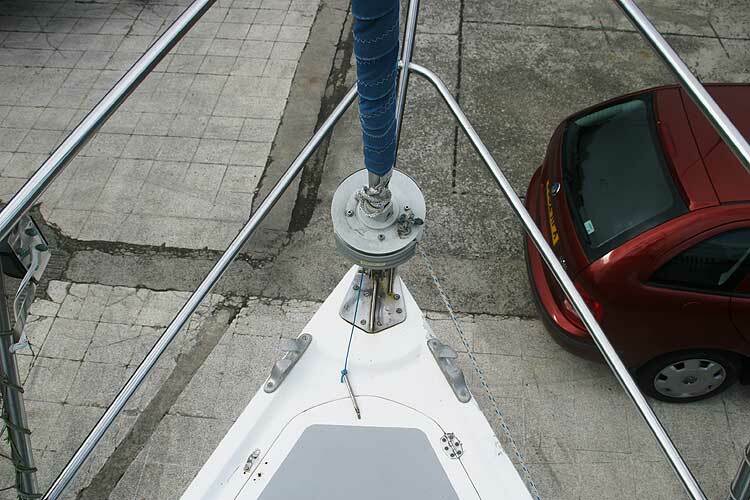 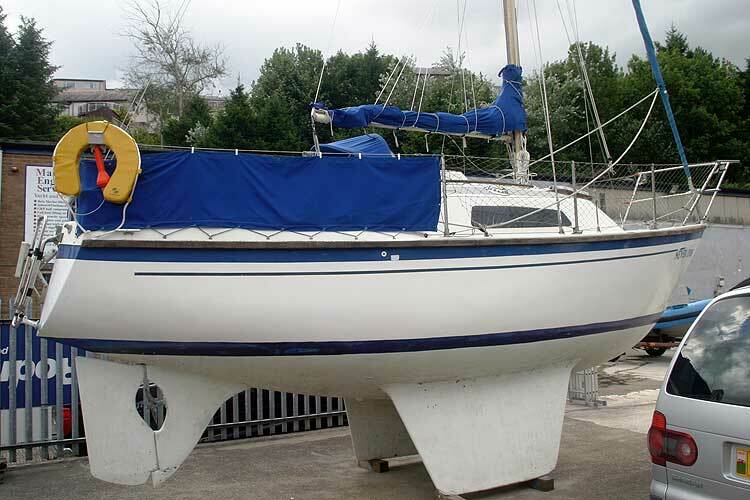 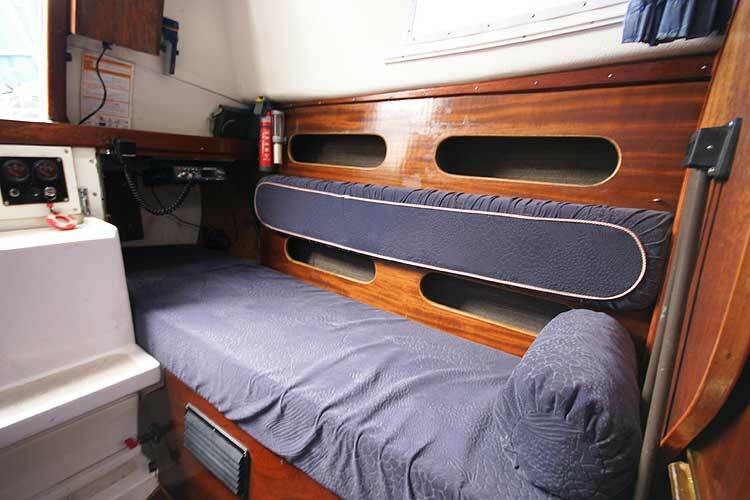 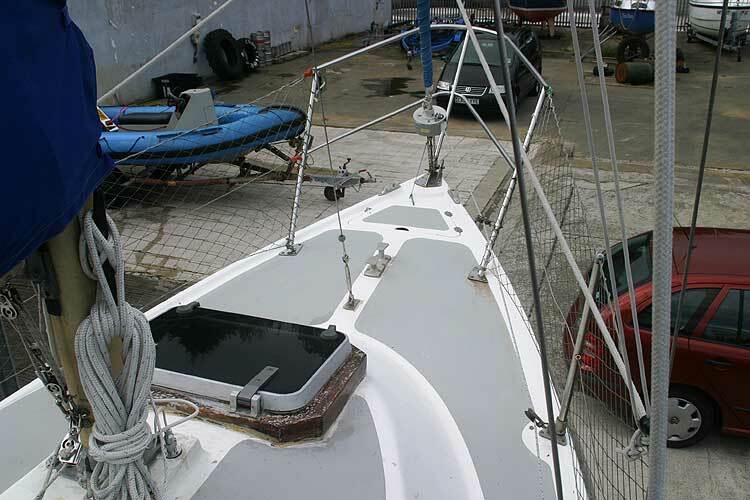 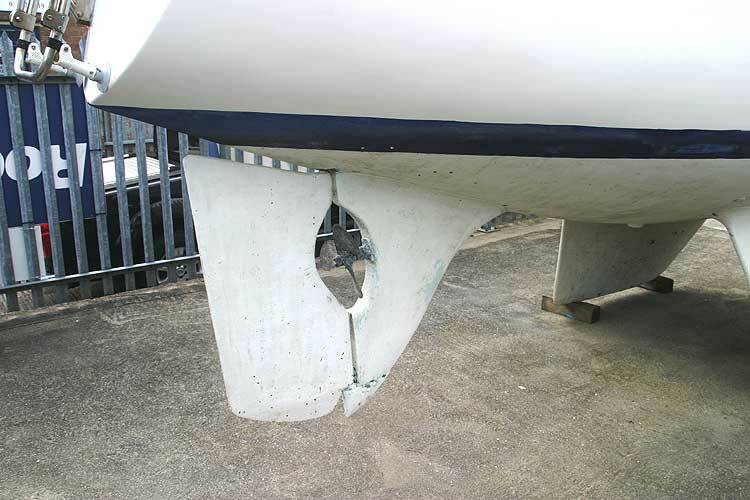 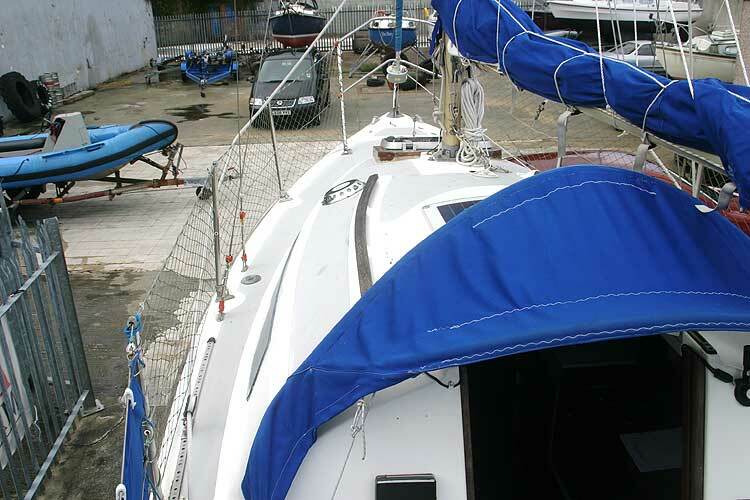 The Hurley 24/70 was designed by Ian Anderson for Hurley Marine as a larger version of the long running and very successful Hurley 22, but with More standing headroom and a fin instead of the long keel of the 22. 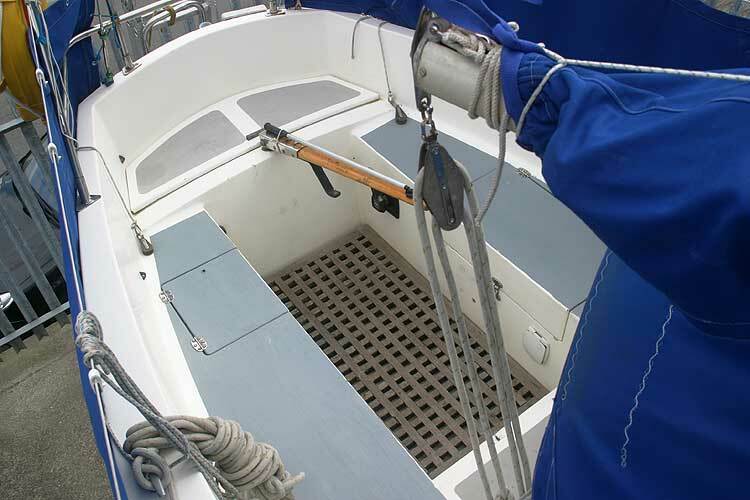 Built to a high standard and the subject of continuous improvement this vessel is ready for sea. 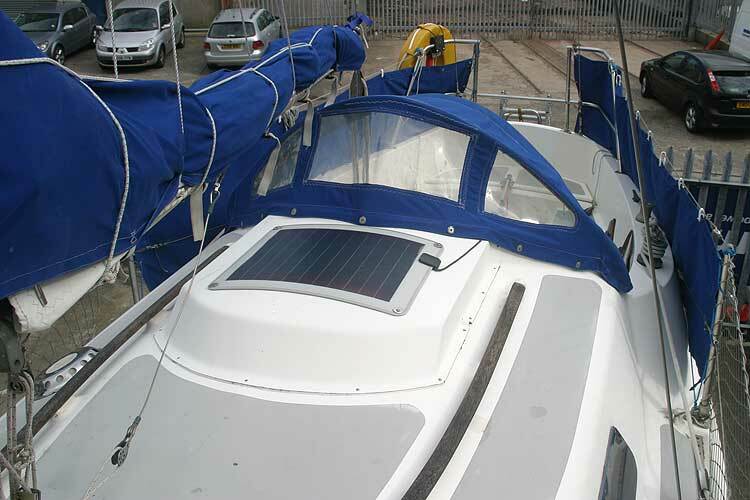 With a solar panel and new batteries, she is a tidy little cruiser. 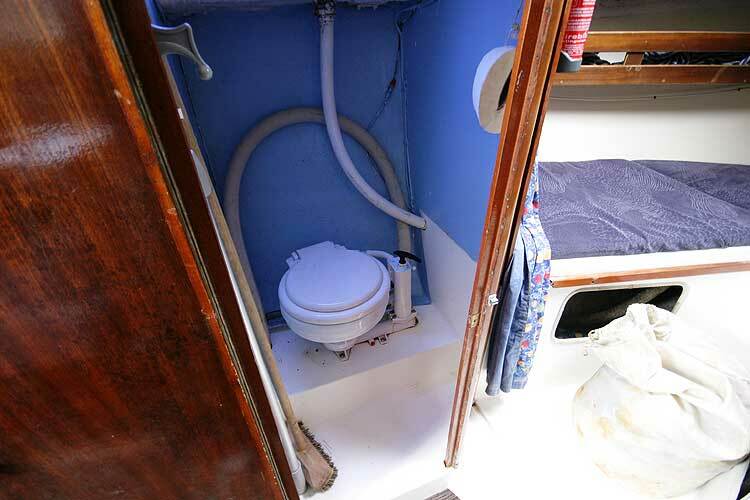 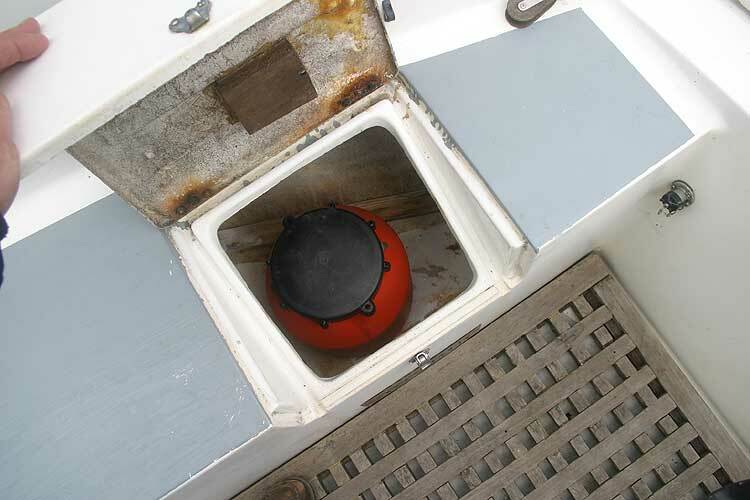 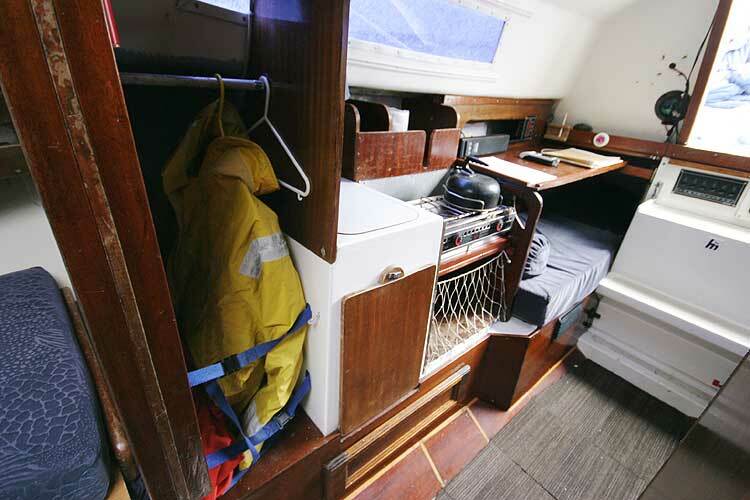 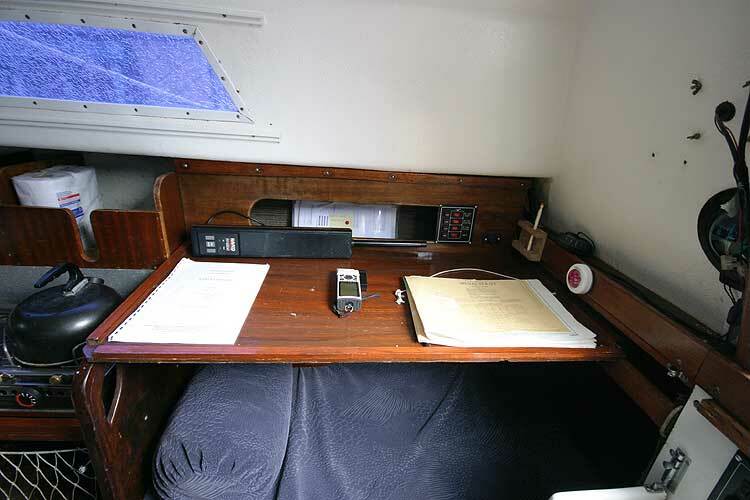 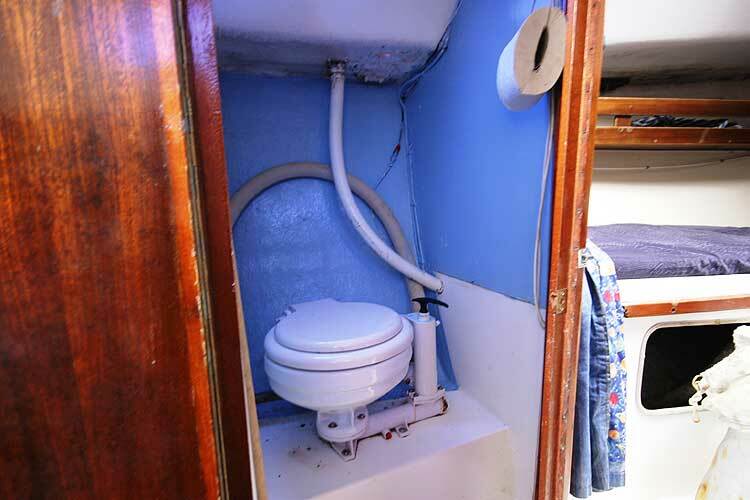 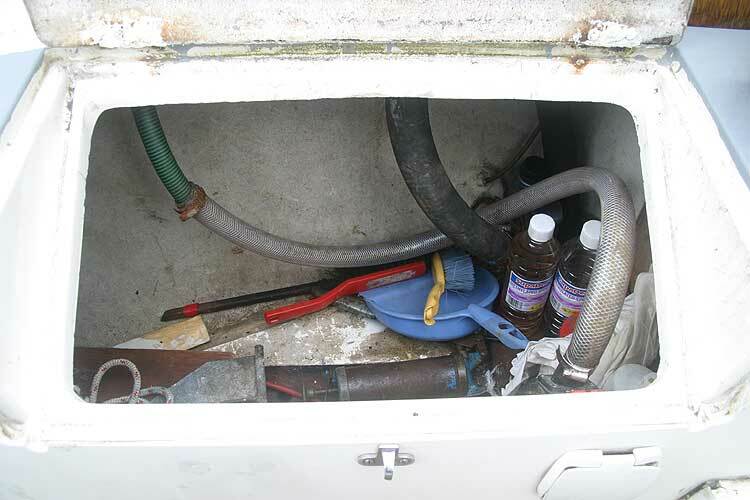 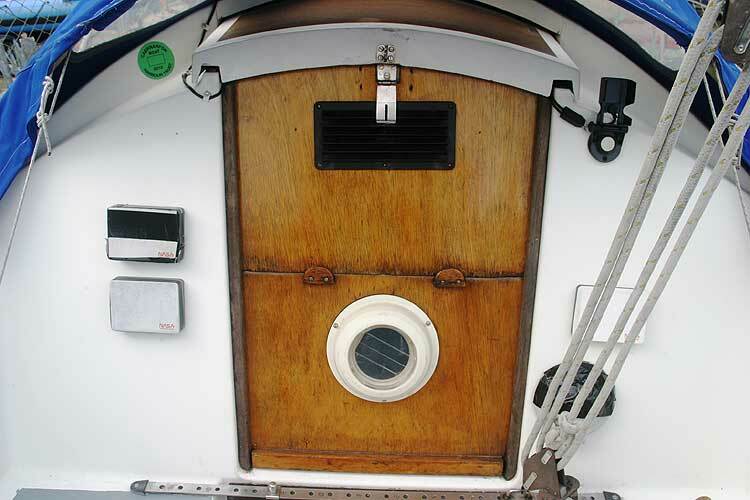 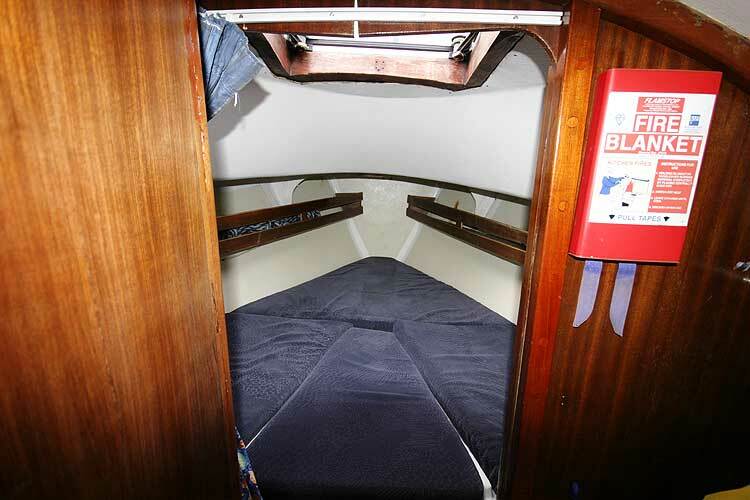 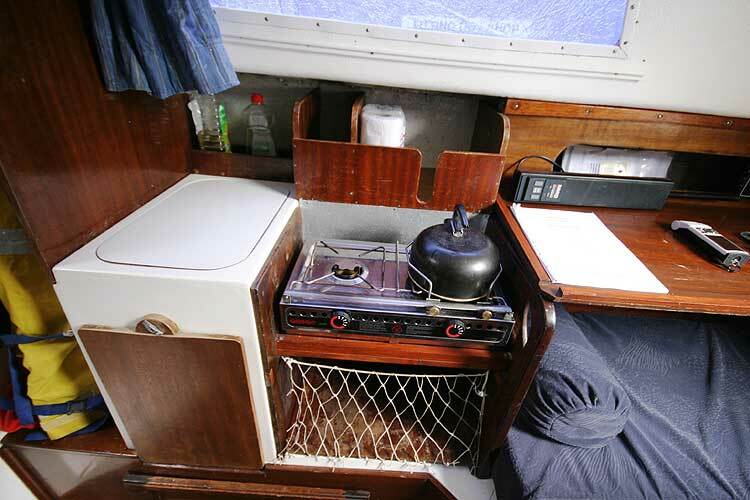 A separate heads compartment to port and a wet locker to starboard. 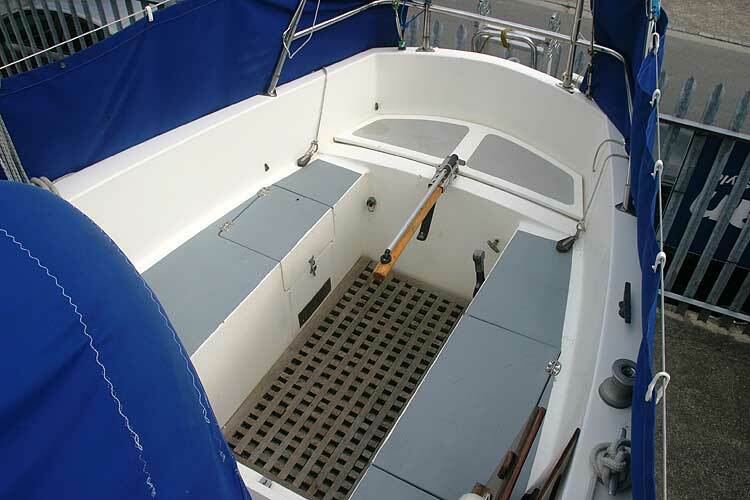 Genoa, main and cruising chute. 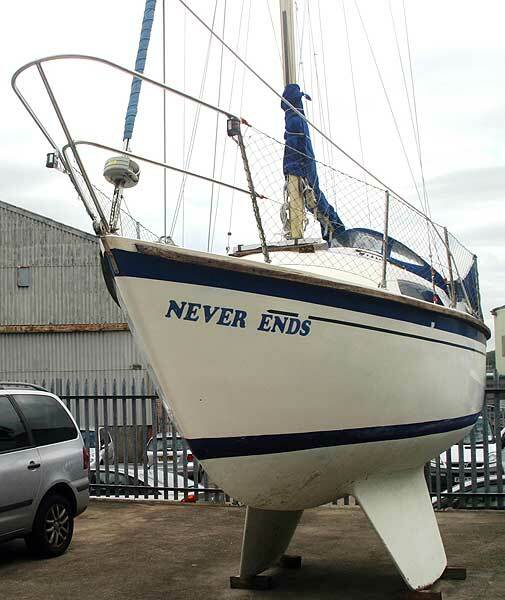 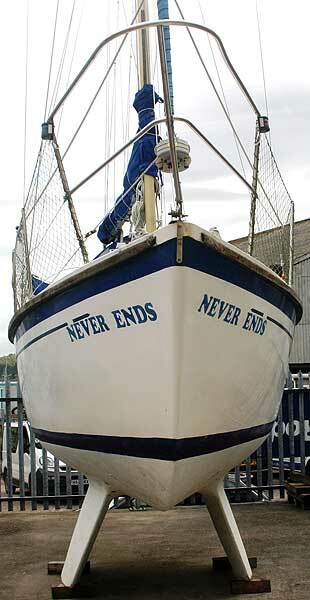 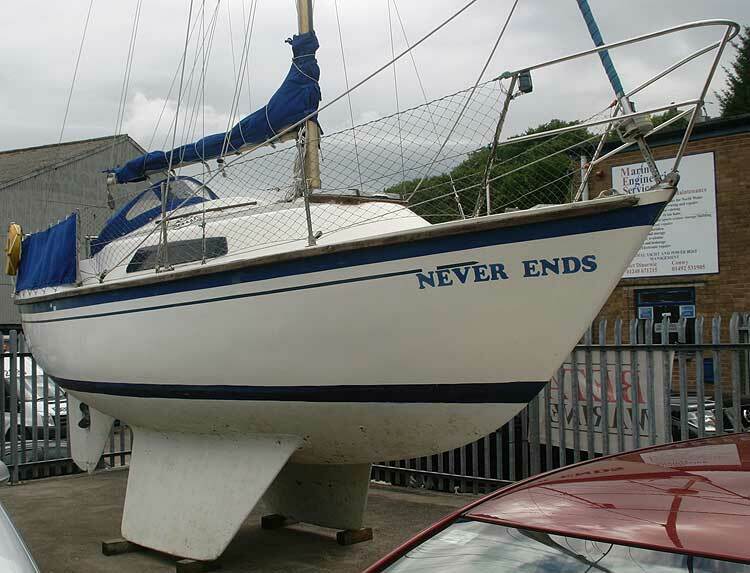 This boat is no longer for sale and remains here solely as an information resource for those researching Hurley 24/70's.